Announcing Cuba’s First Environmental Film Festival! https://oceandoctor.org/wp-content/uploads/2015/03/Poster-HDv3_Cropped.jpg 686 1200 Ocean Doctor https://oceandoctor.org/wp-content/uploads/2015/04/Ocean-Doctor-Logo_w340.png Ocean Doctor2015-03-10 13:28:442015-04-12 18:13:06Announcing Cuba's First Environmental Film Festival! 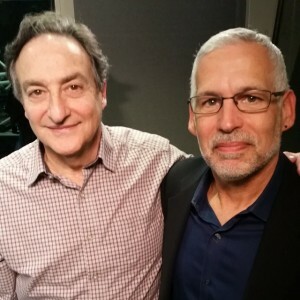 Ocean Doctor president, David E. Guggenheim joined Science Friday host, Ira Flatow, to discuss Cuba’s coral reefs, their future, and how they may serve as a “living laboratory” to help us restore coral reefs in the Caribbean, where half of the coral reefs have been lost since 1970 according to a 2014 study. Listen to the recording and visit Science Friday for more information. The Cuban taxi driver informed me that the world was about to change. Presidents Raul Castro and Barack Obama were going to deliver a major announcement at noon. He shook my hand in congratulations. I stood stunned as the taxi pulled away. We had heard these rumors before, and with little Internet access, the rumor mill in Havana is especially rich. But this time, things seemed different. At 11:25am we heard an announcement that Alan Gross, who had been imprisoned in Cuba for 5 years, was safely back in the United States. Something very big was happening. The day before I had given a talk about U.S.-Cuba collaboration in marine science and conservation at Cuba’s Higher Institute for International Relations during a conference focused on the state of relations between the U.S. and Cuba. It has been gratifying to see that our work over the past 15 years with Cuban and American colleagues, focused on understanding and protecting the marine waters that we share, is considered among the most successful examples of Cuba-U.S. collaboration. That morning our conference took an unexpected but welcomed turn as we watched the televised speeches together with the Institute’s students and learned that for the first time in more than half a century, Cuba and the U.S. would normalize relations. Restoring diplomatic relations and removing Cuba from the “State Sponsors of Terrorism” list will open a new chapter in our collaborative work with Cuba, allowing us to accomplish much more. As you can imagine, our already challenging work to save coral reefs is further complicated by layers of regulations and restrictions. 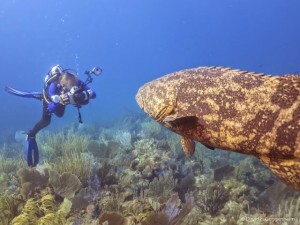 Although the U.S. economic embargo against Cuba remains in place for now (an act of Congress is required to lift it), there is growing concern about the environmental impact that millions of American tourists might have on Cuba’s healthy ecosystems. 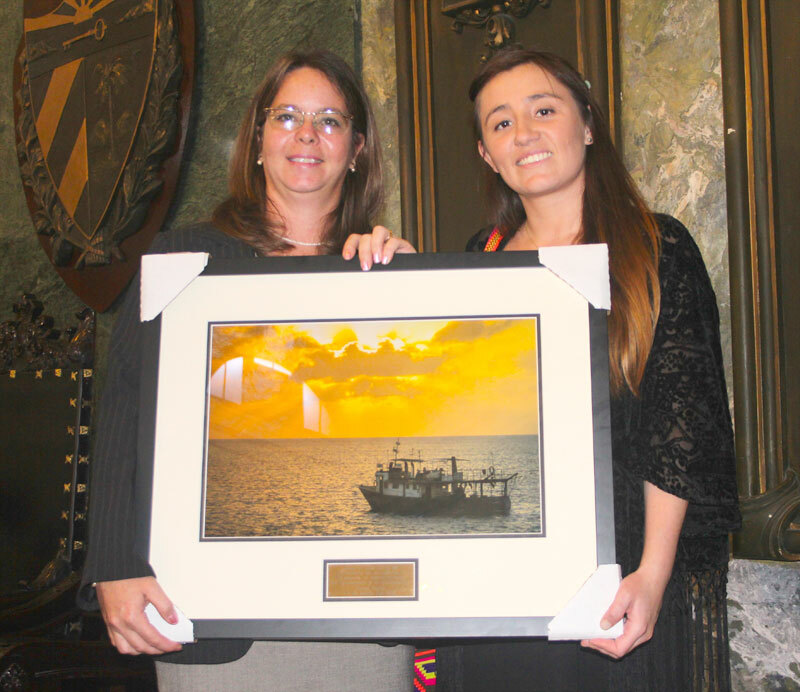 To this end we are working to help Cuba “future-proof” its strong environmental legacy against future economic pressures. Three months ago we held Cuba’s first international environmental economics workshop to kick-off a multi-year effort to help Cuba develop the tools and information necessary to assess the economic value of their natural, healthy ecosystems. 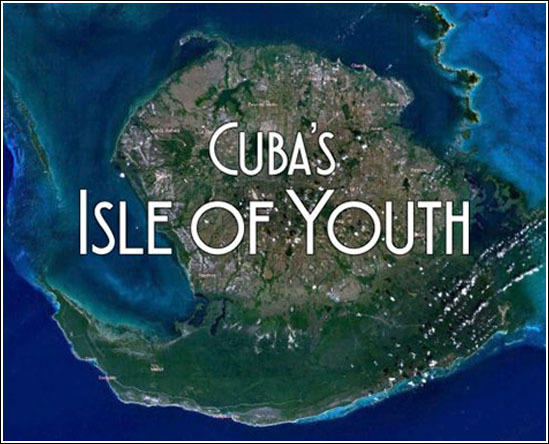 When inevitably faced with proposals to build hotels and golf courses, Cuban decisionmakers will find that their nation’s ecosystems have a value in the ledger. This news comes at a time of great urgency for saving our coral reefs. 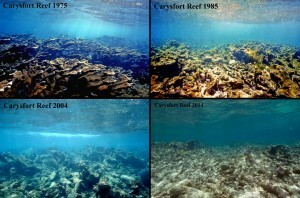 A report issued earlier this year shows a 50 percent decline in coral cover in the Caribbean since 1970. But the remarkable health of Cuba’s coral reefs offers hope and we are working to study this “living laboratory” to unlock the mysteries of what is keeping Cuba’s coral reef ecosystems so healthy and resilient, and gain insights to guide restoration efforts in the Caribbean and beyond. 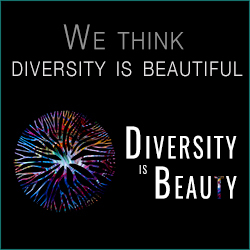 Now more than ever, your support will make an enormous difference. Please help us build a future with our neighbors in Cuba that recognizes the importance of strong collaboration to protect the treasured ecosystems that we share by making a donation today. 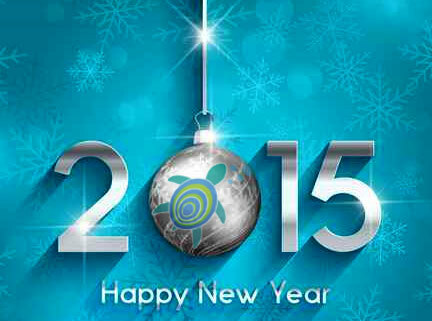 Meanwhile, please accept my warmest wishes for a wonderful holiday season and a happy new year! 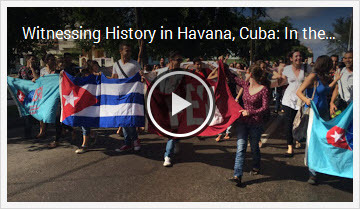 Your tax-deductible donation will help support our work in Cuba. Thank you for your generosity. OMG I Thought You Were Dead! I shouted with euphoric joy through my regulator, 20 feet underwater. I can only imagine how wide my eyes were. It must have been difficult to discern between an expression of delighted surprise and a textbook example of wide-eyed diver panic. My eyes were transfixed on an old friend with a funny name whom I hadn’t laid eyes on in years. I had heard he was dead – or at least gravely ill. But there in front of me, larger than life, vibrant and embracing the sun, my friend was very much alive and healthy, clearly enjoying the good life in Cuba. Several years earlier, I joined an expedition to explore a corner of the Gulf of Mexico I had only heard about from colleagues: The magnificent coral reef ecosystem of Veracruz, Mexico. Seated inside the DeepRover submersible with great anticipation for a vibrant reef that lay below me, I was lowered from the deck of a Mexican Navy ship into the warm blue waters below and radioed the ship that I was going to begin my descent. 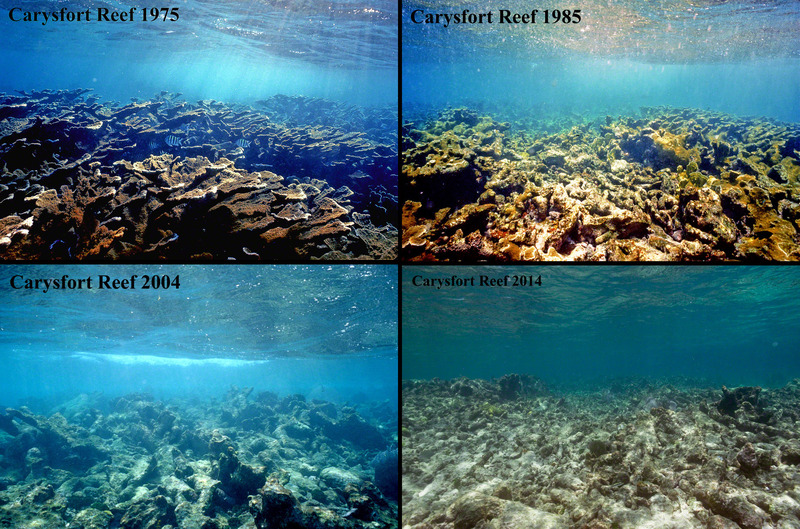 https://oceandoctor.org/wp-content/uploads/2014/12/Carysfort-1975-to-2014-square.jpg 1596 2412 Ocean Doctor https://oceandoctor.org/wp-content/uploads/2015/04/Ocean-Doctor-Logo_w340.png Ocean Doctor2014-12-02 09:34:552014-12-02 09:34:55OMG I Thought You Were Dead! 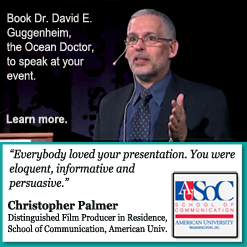 https://oceandoctor.org/wp-content/uploads/2014/10/IMG_0077.jpg 480 640 Ocean Doctor https://oceandoctor.org/wp-content/uploads/2015/04/Ocean-Doctor-Logo_w340.png Ocean Doctor2014-10-19 10:13:212014-10-19 10:20:19What Becomes of Cuba After the Embargo is Lifted?